Construction dust is not just a nuisance; it can be a major health hazard. 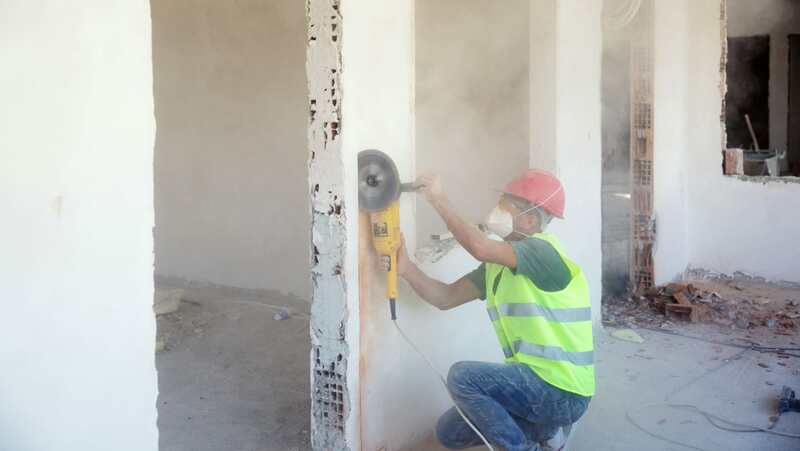 Every year, around 450 people die from lung cancer associated with exposure to respirable crystalline silica (RCS) in the UK construction industry, according to the Health and Safety Executive (HSE). With this toll representing three quarters of the 600 deaths annually attributable to lung cancer caused by RCS across all industries in the country, construction workers face an overwhelmingly disproportionate risk. Silica is the most common mineral in the Earth’s crust and is found in most rocks and sand, as well as in building products such as bricks, concrete and cement. When these materials are cut, crushed or abraded, they create respirable dust. RCS is the fine dust (often not visible) which can reach deep inside the lungs. As well as lung cancer, significant exposure to RCS can also cause silicosis, another potentially fatal lung disease, which the HSE estimates is responsible for 500 deaths a year in the construction sector. One organisation committed to raising awareness of this issue and promoting ways of preventing work-related respiratory diseases is the Construction Dust Partnership (CDP). The CDP is an industry collaboration that lists 33 companies and organisations as members, including influential bodies such as the HSE, Safety Groups UK and the Construction Industry Training Board (CITB). All CDP members have agreed to target construction dust hazards by increasing awareness, identifying risks and promoting appropriate control measures. They also believe in working together with the industry regulator to achieve maximum impact. As part of its work to share expertise on this topic, the CDP is teaming up with science-based technology company 3M for a free webinar. Company owners, health and safety managers and site workers are being encouraged to register early for the educational webinar, which will run from 12.15 to 13.00 on 23 August 2017. The interactive session will offer participants an opportunity to learn more about the threat of construction dusts and ways of protecting workers. Taking the format of 3M’s popular ongoing Safety Spotlight Webinar Series, the discussion will be streamed live online, allowing those watching to participate and ask questions in real time. It will be jointly led by 3M technical specialist George Elliott and Phil Haskins, of Dustcontrol UK. The pair will begin by discussing respiratory hazards in the construction industry, with a focus on RCS. They will go on to address best practices for controlling respiratory hazards, covering methods of dust suppression and extraction, and personal protective equipment (PPE). Finally, George and Phil will also share information about further resources available from the CDP. George said: “RCS and other respiratory hazards are a continual problem in the construction industry and can have terminal consequences. “The CDP does excellent work in raising awareness of the issues of construction dust so, as a company equally committed to tackling this issue, 3M is delighted to be jointly running this webinar with the organisation. “We know from our Safety Spotlight Webinar Series that these webinars are a great way of sharing expertise and offering professionals an opportunity to put any questions or concerns they may have to us. CDP chair Colin Nottage added: “We’re excited to be delivering this webinar, which we believe will be invaluable for those working in construction.